Lee McCulloch has claimed fans will have an idea of what Rangers can realistically achieve at the end of the season after games against Aberdeen and Kilmarnock this week. The Gers are poised to endure a hectic week, starting with a trip to hostile Pittodrie in the Scottish Premiership on Wednesday followed by their Scottish Cup tie against Kilmarnock at Rugby Park on Saturday. Steven Gerrard’s men are currently six points behind rivals Celtic at the summit of the Premiership table and as such, they are still in the mix to try and usurp the defending champions in Scotland. However, they must now tackle a tricky set of fixtures over the course of this week to retain any hopes of lifting silverware by the end of the season. 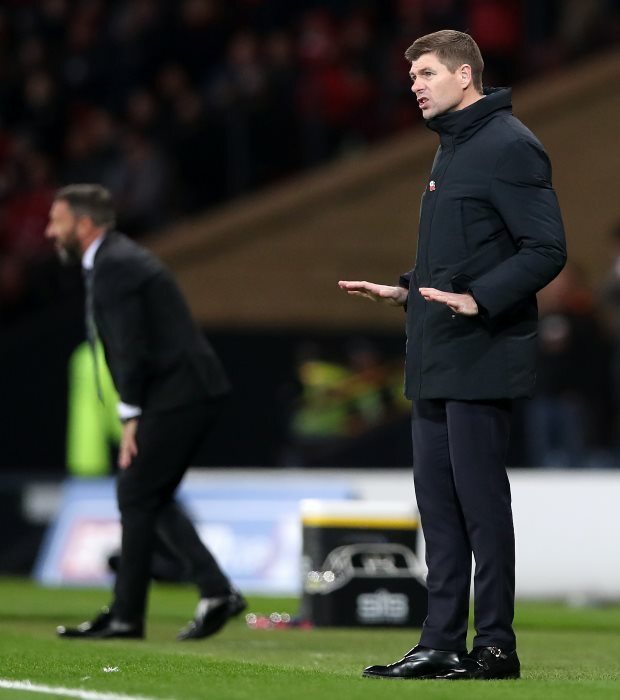 And ahead of trips to face both Aberdeen and Kilmarnock in the next few days, McCulloch has claimed that the run of fixtures this week will give the fans an idea of what Rangers can achieve under Gerrard this term. “There is no doubting the importance of the two games away from Ibrox this week and you have to target a win at Pittodrie and a win at Rugby Park”, McCulloch wrote in his column for the Evening Times. “There will be a different pressure on Rangers when they face Kilmarnock on Saturday night in the Scottish Cup. "But the requirement to progress in that competition is massive as well. Rangers, who recorded a 4-0 win over St Mirren during their last outing, have now registered three consecutive wins in all competitions since the defeat at Kilmarnock last month.